Final Fantasy has not had a good reputation for speedy, effective development as of late. Final Fantasy XIII put us through laborious years of hype, and Final Fantasy XV has just entered its ninth! When the series has sped up development to two years, the product often feels unfinished and rushed as it did in Final Fantasy XIII's mixed-reception sequels. With that in mind, it's not hard to see why Square Enix would wait two years to announce Final Fantasy Type-0 HD was in the works. The company has confirmed with IGN that development began in mid-2012 and is 80 percent complete, but we only learned about it at E3 2014 this past June. Sounds like Square Enix realized nobody wanted to wait three years for another Final Fantasy game. Instead, it made us agonize for two over whether we would ever see it or not and then just one once we realized it would happen. The silence behind the game sparked a lot of ire of fans wanting the translation, and even led to a successful fan translation that Square Enix shut down the day before its announcement. Director Hajime Tabata also confirmed with Kotaku at PAX Prime that the game would be released "within the next year." When asked why the game was aimed for the PlayStation 4 and Xbox One, and not PlayStation 3 and Xbox 360, Tabata claimed that Square Enix just wants to sell more next-gen consoles to prepare the fanbase for whenever Final Fantasy XV finally comes out. "There is a part where we believe it's kind of like the first step. When we releasedType-0 on the PSP in Japan, we were able to garner a new audience, a younger user-base. There's a lot of fans who say that Type-0 was their first Final Fantasy, so we're hoping that'll be the same for the overseas market as well, in kind of garnering and capturing that new age group when a lot of our Final Fantasy fans are becoming older, more mature. Tabata also says that the Vita was considered but ultimately discarded because the screen didn't do the HD justice. All in all, it looks like a great game, and those who have played it say its the best of the whole Final Fantasy XIII Nova Crystallis project. We'll have to see if its just the allure of being an unavailable game or if that excitement can carry over into actual gameplay. 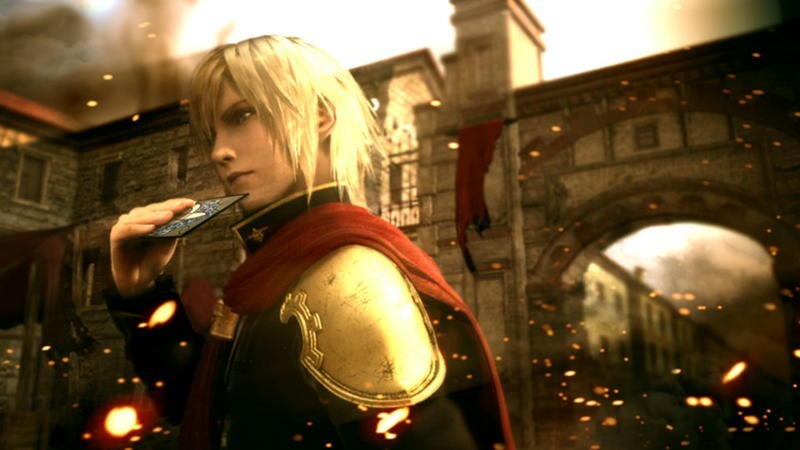 Final Fantasy Type-0 will be released for the Xbox One and PlayStation 4 "within the year."